LumiSpa® is a skin rejuvenating cleanser with superior exfoliation and deep cleansing abilities. It helps lessen the appearance of fine lines and acne scarring and is embedded with tiny silver grains to keep the removable head germ-free. Scientific studies show that the rotary and gentle compressive action stimulates collagen and elastin production. You will see immediate improvement in your skin tone, pore size, and even get a mild "lift effect." This all improves over time, making this product simply irresistible! Watch the jello video below to see how gentle the LumiSpa is compared to brush cleansers. Although the Debut Kit is listed as being for normal/combo skin; note that you can choose between normal/combo, acne, dry, oily and sensitive skin cleanser formulations. The LumiSpa® is unavailable for purchase directly through AgeWellSolutions, but may be purchased at the secure link below. Now selling these to MY clients who also love the cleansing (deep), the pore minimizing, line smoothering action. And we all look younger. Amazing. Making some great money on the side, too. Dr.Kim helped me get going with it, in case your wondering. This product delivers. Creamy, nice smelling cleanser. Nice feel to the soft and rough (I tried both) heads. Deep cleansing. I even used my brush cleanser, THEN this and this got off the grime that was left behind. Plus my skin looks smoother and I look younger. Even hubby noticed and he NEVER notices! LOL! Great product, love it, love it! All correct from the blog Dr.Kim did-it does diminish fine lines, stops the breakout, and so on. Great product. Many thumbs up! Looking younger, feeling like this is my spa 2 minutes 2x/day and now selling them and making money so all I can say is you’re kidding me, right? Number one favorite face toy thing. Wow is all I can say. Feels great, works great, I look younger and hey, what’s not to love? 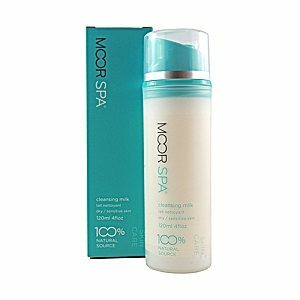 Love this foamy cleanser-the smell of it, the use of the Lumi; it’s like a 2 minute spa session 2x a day and the best part is you end up looking better. i love this thing. I’m even going to sell them. Apparently all you need to do is ask Dr.Kim how. Cool. I’ve had this for 6 months and everyone says I look younger. Love it. Best facial thingee I ever bought. Get outta here. This is too good for the price. Clear skin. Smaller pores. Less fine lines. You’re kidding me, right? I’m scared it will blow up or something. Fornow, unless it does, it gets 5 stars. So-I don’t usually bother to do reviews, especially when there is no reward, HINT HINT here; but this is so great I felt like I needed to share my opinion. It is waaaay better than that damned over-hyper clarisonic, that’s for damned sure. Thought I’d never give up my Clarisonic, now want all my money back including all the germy heads that broke out my skin. The biggest selling facial device in the world? I TOTALLY believe it, it’s the best best best! My clarisonic is gone baby gone-this is far superior for so many reasons it’s insane. And I love this cleanser! Hate to shave but when I DID, I always got freaking zits. Used my GF’s Lumi until she said hey get your own-use it every other day and no problems with shaving and no zits! Love it and hate to admit it since I’m a guy! Best facial device I ever bought! How do I become a distributor and make money??? 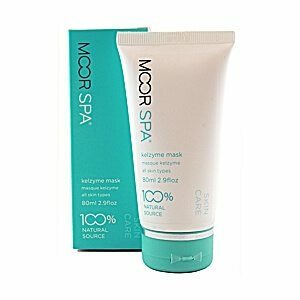 I bought this product, thinking it and the cleanser would clear up ingrown hair zits. It did somewhat but the reviews convinced me I’d be totally clear so this is why only 4 stars. Love the feel of this and the cleanser and is it my imagination or are my fine lines to the side of my eyes diminished???? Geez-o-man! Agree with everyone about this being superior to a Clarisonic-works better and no more acne breakouts! SOOOOOOOOOOOOOOOOOOOOOOOOOOO much better than that stupid Clarisonic which kept breaking me out. This is so cool, I love it! I also love the cleanser that comes with it-my skin does indeed look brighter. Amazing device, so much better than having to clean the bristles! Must I go on? OK, the cleanser seems to have made my pores shrink…or is it the device? Or the combo? Who knows -love them both! OMG I love this thing so much it’s crazy! I also had a Clarisonic and now I realize how futile trying to keep those brush heads clean has been. Soaking-nope. Scrubbing, nope, wore out the bristles which then irritated my skin. This is amazing but what is even more amazing is the “normal skin” cleanser. I read about the ageloc technology and wow, my skin looks brighter and feels so much more squeaky clean in just 2 weeks, just like it says. YAY, clap clap, 5 big stars! No more Clarisonic for me-I took the leap and am so glad. My skin is clear and glowing and I’m not sure if it’s this device or the cleanser but wow, the combo is so amazing i’m giving it 5 stars. Great product, great value. Nothing like this on the market since the bristle crap is now discovered to damage skin and break us out, UGH! Great product and great cleanser! Wow! Everyone is so right that this absolutely replaces that germy Clarisonic that was breaking me out! This rocks. Nothing like it out there and my skin looks better after only a week of 2x/day use. Easy, peasy,too! Love this thing and the cleanser too. Wow is all I can say to this exfoliating, brightening, deep-cleansing wonder of a tool. It’s my favorite thing since I bought a galvanic spa. Amazing. 10 stars-can’t say enough and I use the medium cleanser which smells heavenly and I know stimulates collagen too. WoW! 2 weeks in and my skin is all new. Is it this device-yes, I’m convinced, but is it also this cleanser, yes I think so! No more breakouts and my acne scarring is diminished already. Whoot! OMG, words cannot say. Ditch that damned Clarisonic and get this-get this- cleanest feeling face, best constant exfoliation, anti-aging cleanser like what is not to love geez! I now want my money back from the Clarisonic company. That product kept breaking me out!! Now I know why! go Lumi-best purchase I’ve made for my skin-ever! WOW, this is the best thing I have ever bought for my face! I had a Clarisonic and it kept breaking me out and now I know why. The silver in the heads of this wonderful THING keep my skin clear and looking great. I love this thing! This is my new favorite face toy, right after the galvanic spa made by this same company which I love. I didn’t think they could top that but they have come close with this great product. I used a Clarisonic for years and was skeptical but indeed, this beats it to the ground in terms of what it can do. Love this product-my face has never felt cleaner or smoother and lines around my eyes are diminished too. Can’t say enough about this. I can only compare this to what everyone seems to use-a Clarisonic. They cannot compete with those bristles which get grimy and you just can’t get clean. This is a new concept and you can get the head squeaky clean after each use. 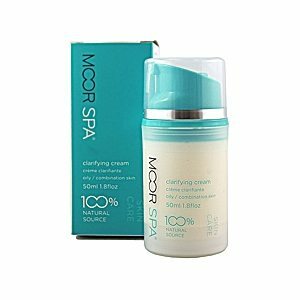 It removes “everything” and gets your skin so soft and glowy it’s unreal. Love it. Love the cleanser too. I use the oily one and hey, with this toy, no more breakouts! I also use the Moorspa glycolic lotion which is amazing,too. Wow, in just a month, I see smaller pores and better skin texture and even the skin around my eyes is tighter. This is great. My Clarisonic is so gone it’s ridiculous! Love this product-you gotta try it. OMG, I saw a difference after ONE use!! Whootwhoot. It’s 2 weeks and I actually look younger. Love this my new fave face toy!